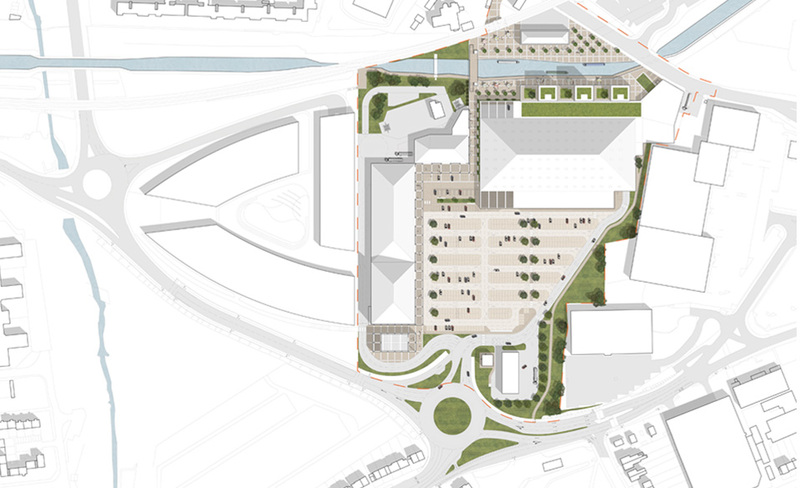 UNIT’s design for this Birmingham Master Plan centres on the reintegration of the site with its surroundings. A long history of industrial development at Selly Oak ended with the demise of the Birmingham Battery Company Works in the 1980’s. The proposal reverses a mixed legacy of industrial canal heritage as well as contamination and a site with no positive presence for the area. The proposal utilises the historic and natural features of the site to create a series unified by a common architectural language. 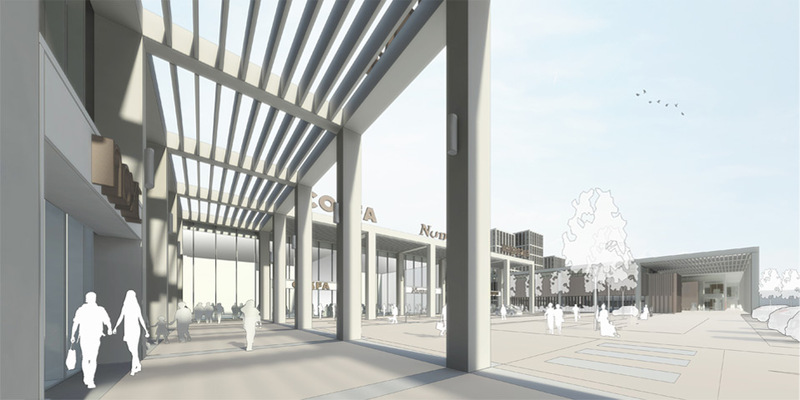 A new pedestrian bridge over the canal will link to Selly Oak, increasing footfall and enabling easy access between the retail units to the west and Selly Oak and its train station to the east. Selly Oak is provided with a new and unique frontage onto the Worcester and Birmingham Canal. Uses and character provide animation for each space. 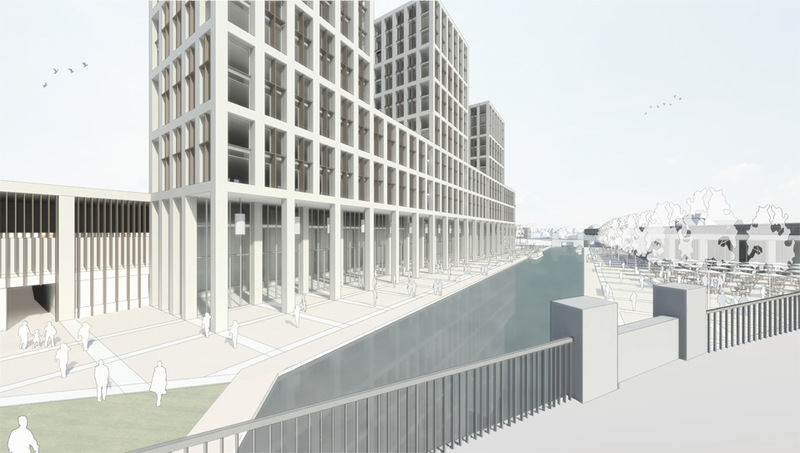 The uses combine retail, student residential, canal side frontage with cafés and restaurants and a Life Sciences Campus by Glen Howells Architects to the north. The design has been considered so as to allow for the future development and relinking of the historic Lapal Canal to the wider canal network. A pleasant towpath for pedestrians, joggers and cyclists links Selly Oak to and the University to Selly Oak Park.